The Mobvoi TicWatch Pro wants to solve the one problem Wear OS doesn’t really have: battery life. While some older LTE-enabled Wear OS watches might struggle to get through a day of normal use, most of them are plenty capable of handling a full day of step tracking, Lyft hailing, and message sending. 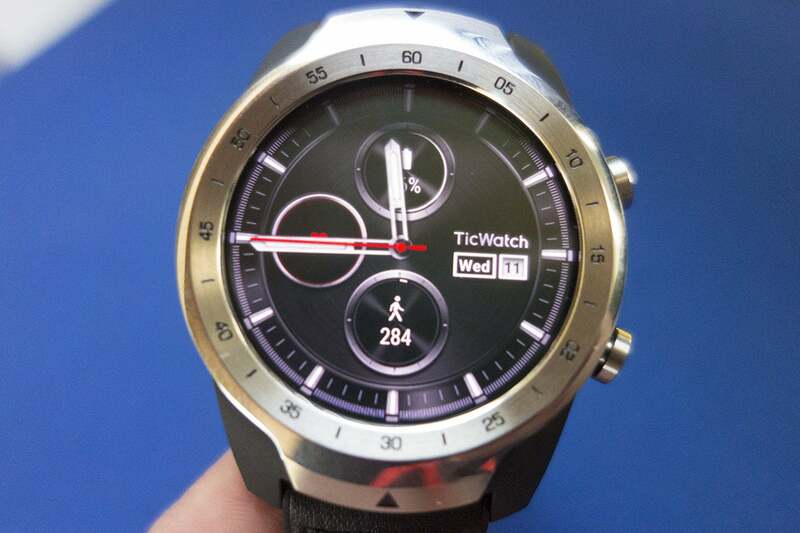 The TicWatch Pro is no different in that regard. Use it as a smartwatch and you’ll probably need to plug it in before hitting the sack. Rather, Mobvoi’s battery innovation is the addition of a second, low-power display on top of the standard 1.4-inch OLED. Activate it, and it shuts down most functions and lets the watch eke out every last drop of power before shutting down. The results are impressive. Even with less than 10 percent of its battery remaining, the TicWatch Pro will easily last for several more days—but there’s a catch: You need to sacrifice much of the watch’s smarts to reap the benefits. So in a nutshell, the TicWatch Pro is a smartwatch that’s at its smartest when most of its smarts are switched off. I've seen Mobvoi’s other Wear OS watches—particularly the the TicWatch Express, with its soft, Swatch-like retro feel—but the TicWatch Pro falls into a familiar trap. As is the trend with Android Wear 2.0/Wear OS watches, it’s a thick, hulking affair, with a carbon fiber body and a silver or black wannabe directional bezel (it doesn’t rotate) and a pair of bulbous buttons. The AMOLED screen is a pretty standard 1.4-inch (45mm) 400x400 affair, though the aggressive lugs and bezel make the whole package appear much bigger than it should. The buttons and lugs on the TicWatch Pro make it look even bigger than it is. Heft aside, the TicWatch Pro is actually Mobvoi’s thinnest watch, and at 12.6mm it’s only about a millimeter thicker than the Apple Watch. But while the Apple Watch’s curved edges and square shape will contour all but the smallest of wrists, Mobvoi’s aggressive design and big screen requires a hefty amount of arm space. The hybrid leather band has a rubber underside that can get uncomfortable after a couple days' wear, but it can easily be swapped with any 20mm Quick Release strap. But no matter which band you choose, the TicWatch Pro won’t shake its decidedly macho aesthetic. 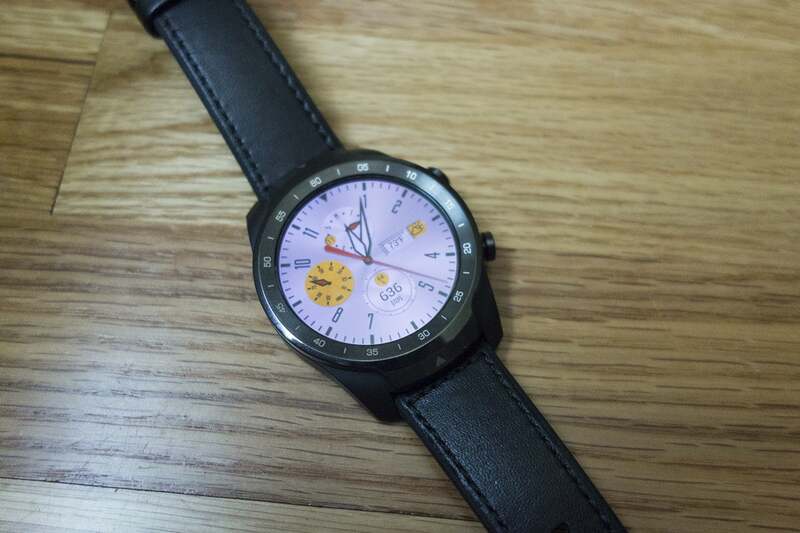 Like the LG Watch Sport and Huawei Watch 2, the TicWatch Pro is another Wear OS watch seemingly made for tall men, and I fail to see the strategy of shutting out more than half of the market. Wear OS has firmly established itself as the circular alternative to Apple Watch, which should bring an array of classic watch styles, but there isn’t a Wear OS watch available that compares to the 38mm Apple Watch. 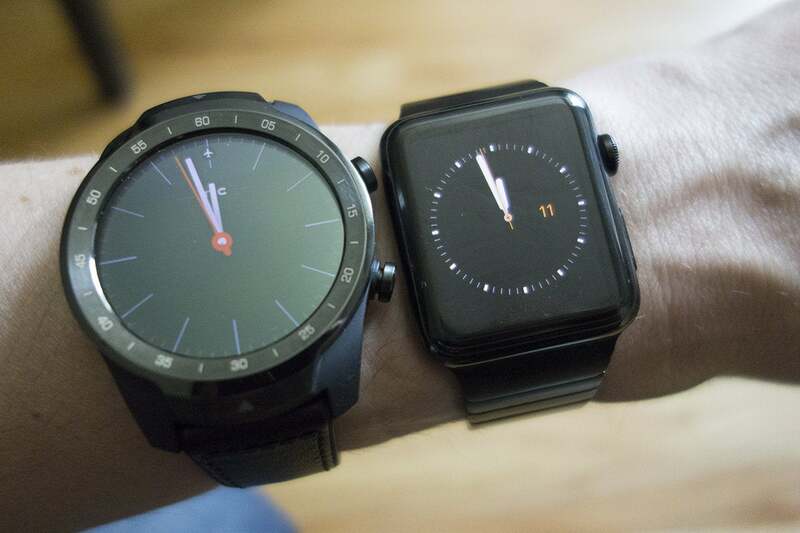 Bottom line: The TicWatch Pro is just too damn big. The TicWatch Pro’s premier feature is its battery life, but you won't see much of a difference under normal circumstances. Its 415mAh capacity is average for a watch of this size, but I didn’t have any problems plowing through a day of heavy use and much of a second, with a hearty dose of exercise, notifications, calls, and app downloads. Nearly every Wear OS watch can get through a day now, and for most users that’s good enough. When you turn on Essential Mode on the TicWatch Pro, the smarts disappear. You can see Essential Mode in one of several ways. It turns on automatically when the watch drops to a specific battery capacity. You can enable it manually by long-pressing the bottom button and switching the toggle in settings, or you can set it to replace the always-on display. I particularly enjoyed the latter use. My only complaint is that there’s no backlight, so it can be tough to read in certain lighting and angles. But if battery life is your chief concern when buying a smartwatch, the TicWatch Pro is definitely an intriguing option. At the very least, it won’t turn into a brick if you forget your charger on a long trip. That means you won't need to carry the bulky charging cradle as much as you would with other watches. When you do need to plug it on, the watch charges quickly, though Mobvoi had to sent me a second charger after my first one failed to make the proper connection. As far as sensors and chips go, the TicWatch Pro is loaded with them: heart rate, GPS, and NFC. It also has IP68 water resistance. That means you get the full, all-season Wear OS experience, such as it is. Despite the new name, Google hasn’t done much to advance its wearable OS since version 2 launched in February 2017. In mid-2018, it shows its age. 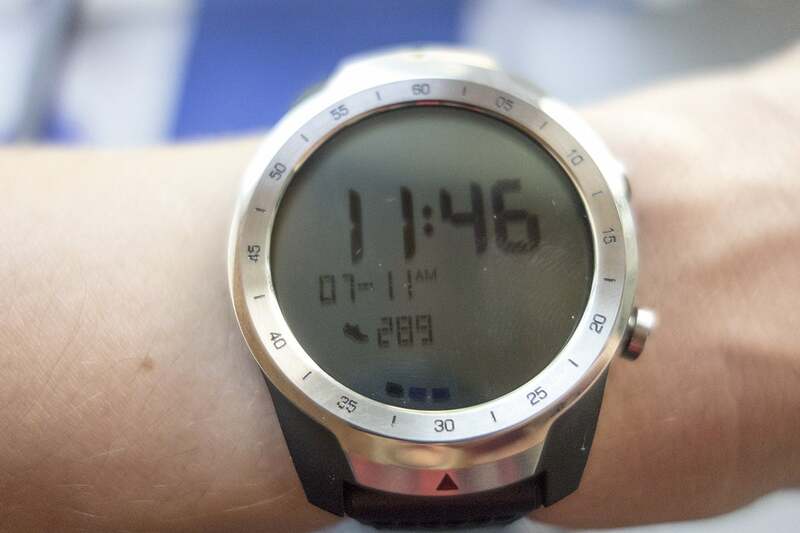 The TicWatch Pro has several watch-inspired faces. That’s not Mobvoi’s fault per se, but the TicWatch Pro suffers for it nonetheless. Wear OS isn’t all bad, with broad device compatibility and good app support, but compared to Apple’s watchOS, it feels like an outdated, underpowered platform. It’s not just the lack of unique features and apps—Wear OS still hasn’t fully embraced its circular countenance, so you get a mix of curved menus and straight ones, and screens that require far too much scrolling. Even the on-watch Play Store is a mix of confusion and frustrations. Now that it has a new name, Wear OS is in desperate need of a top-to-bottom redesign, and until it gets one, the wearables that run it are automatically at a disadvantage. And it doesn't help that the TicWatch Pro is powered by the two-year-old Snapdragon Wear 2100, the aging platform from Qualcomm. Should you buy a Mobvoi TicWatch Pro? Mobvoi might not be as common of a brand as LG or Fossil, but its backed by two big-name companies: Google and Volkswagen. In just about a year, Mobvoi has released three Wear OS watches, and while the TicWatch Pro is the most expensive of the lot, at $250 it easily offers the best value, with every bell and whistle you could want in a smartwatch (except a cellular chip). That's no moon next to the 42mm Apple Watch. The TicWatch Pro’s second-screen feature is a fine emergency fallback, but you’ll want to carry around a charger anyway. It’s comforting to know that it will still tell you the time long after it should have died, but stretching the “smart” battery will require some serious mental gymnastics. Most people aren’t going to remember to switch between the two modes to extend their battery life, so the benefits will mostly come at the end of a long stretch without charging. I question the merits of wearing a smartwatch if you can’t use any of the smart features, but it’s still a neat trick. But the second screen would be a much better selling point if the rest of the TicWatch Pro weren’t so similar to the other Wear OS watches on the market. Its hulking frame immediately shuts out half of the market, and there aren’t enough compelling apps or watch faces to set it apart from its competitors. I’m hopeful someone will create the perfect Wear OS smartwatch one day—maybe even Mobvoi—but unfortunately the TicWatch Pro isn’t it. The TicWatch Pro has excellent battery life, but its design leaves much to be desired. Heart-rate sensor, NFC, GPS, IP68 water resistance. Second screen lets you use the watch for days after battery has been depleted. Design is too big and too aggressive. Wear OS is in need of a facelift. Rubberized band gets uncomfortable after a while.